The Abudu Royals in Dagbon are set to demonstrate in Yendi Township Thursday, against the Asantehene led three eminent chiefs committee mediating the Dagbon chieftaincy impasse between the Abudu and Andani royals. The protest is to reiterate their call for a speedy implementation of the road map to peace in the area. All protesters have been urged to wear red or black apparel to signify their unhappiness. The police administration has assured them of maximum security but implored the organizers to strictly comply with the designated routes. A leading member of the Abudu youth, Alhaji Mugiisu Sibawei in a Citi News interview cautioned the youth against extremism during the protest. He said a petition will be presented to the Yendi Municipal Chief Executive for onward submission to President John Dramani Mahama. Alhaji Mugiisu reaffirmed the Abudu Royals boycott of peace talks at the Manhyia Palace in Kumasi until renovation works begin on the old Gbewaa Palace in Yendi. The Asantehene led three eminent chiefs committee mediating the Dagbon chieftaincy dispute in 2015, resolved that funerals of the late two overlords of Dagbon, should be performed in the old Gbewaa palace. 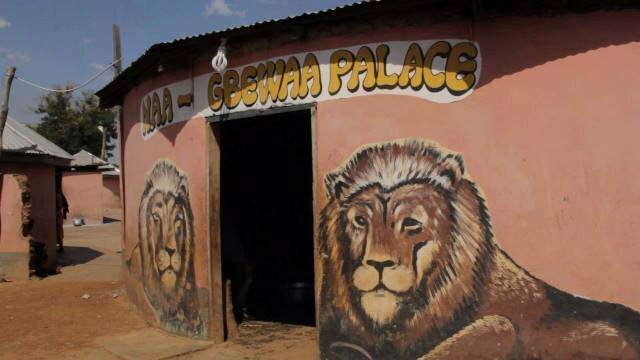 Government’s promise to renovate the old Gbewaa palace is yet to materialize. The Abudu Royals earlier at a news conference in Yendi, gave government two weeks ultimatum to renovate the palace or blame itself for subsequent actions they take. The news conference brought together chiefs, Regents and Abudus from all walks of life who chided the committee for its lackadaisical approach towards implementation of the Asantehene led mediation committee’s recommendations. A statement read by the Abudu Royals Secretary in Yendi, Alhassan Dokurugu reiterated the need for President John Mahama to fulfill his promise to perform the funerals of the late Yaa-Naa Mahamadu Abdulai IV and that of the late Yaa-Naa Yakubu Andani II. Alhassan Dokurugu served notice that the Abudu royals were impatient over the delay.